This "T" shaped tool was designed to make opening and closing the push-and-twist closure latches on Subal housings much easier. Sometimes your thumbs are not strong enough or are just plain tired after diving, getting these latches to open or close is a challenge. 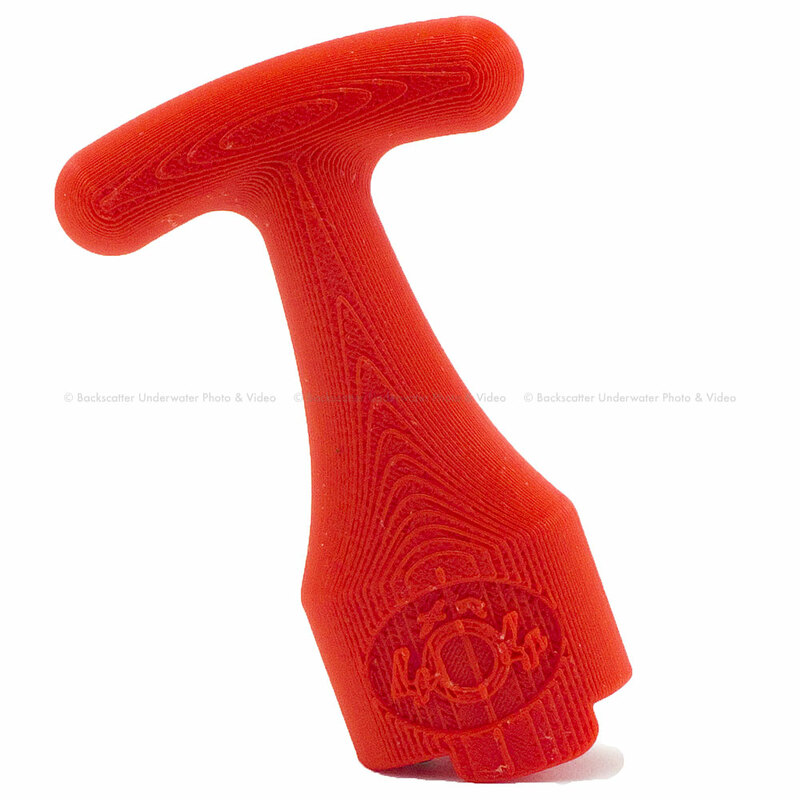 It is shaped to fit onto the latch knob securely and make pressing and twisting a snap! Will work on both left and right side latches. Made from durable Red ABS plastic to last and be easily found. Xit 404 Subal Latch Opening ToolThis "T" shaped tool was designed to make opening and closing the push-and-twist closure latches on Subal housings much easier. Sometimes your thumbs are not strong enough or are just plain tired after diving, getting these latches to open or close is a challenge. It is shaped to fit onto the latch knob securely and make pressing and twisting a snap! Will work on both left and right side latches. Made from durable Red ABS plastic to last and be easily found.